I’m a massive Islay fan but Bowmore’s always sat apart from the other distilleries on the island for me. Sure, it’s the oldest and so probably has the biggest claim to being the epitome of whisky from the region but something about it for me puts it in a different category. The older Bowmores I’ve tried have tended to be stunning but so spectacularly expensive that they’re beyond the reach of us mere mortals. The younger, well, didn’t stand out much at all. This bottling piqued my curiosity since it ticks a lot of boxes: It’s lightly peated, cask strength, small batch, cheap, NCF, colouring free, and matured for ten years in first fill Bourbon. Can’t knock any of that! So how is it in the glass? Nose: Massively citrus. Orange sherbet, tangerines, and lemons. A good whiff of coastal salt, bonfire ash, and chalky rocks. After a while, a little coconut ice and lime skin. Palate: Rich, sweet, and malty with metallic tinned pineapple. More citrus, juicy and sweet: satsumas and bitter grapefruit. Tingly peat builds with numbing red pepper and an Opal-Fruits-esque synthetic fruit flavour. Finish: Bowmore signature parma violets with a touch of earthy oaky peat and bitter lemon. Mmmmmm. We have a winner. That tropical citrus core character works well with the 1st fill Bourbon characteristics and the Bowmore smoke. This is absolutely worth buying a whole bottle of and I’m now keen to see how the other batches compare. 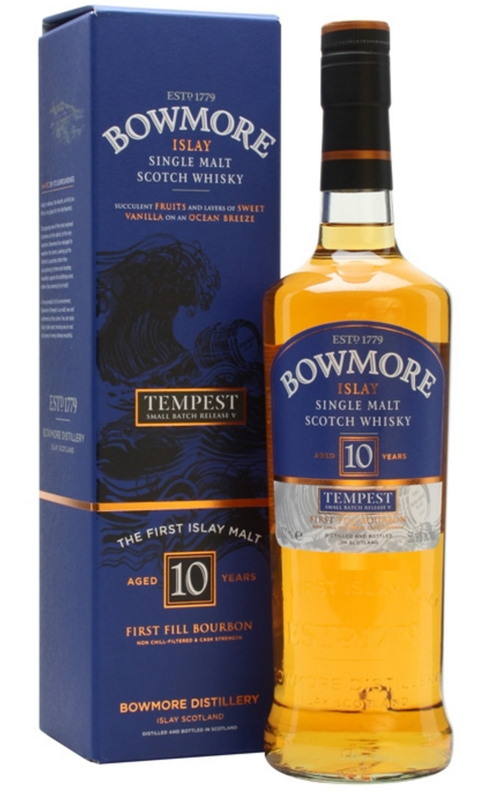 Thank you, Bowmore, for releasing a whisky that’s interesting, characterful and (most importantly) affordable. At £45 per bottle on Master of Malt, this is cracking value and a perfect Summer dram for a warm evening as the sun sets.